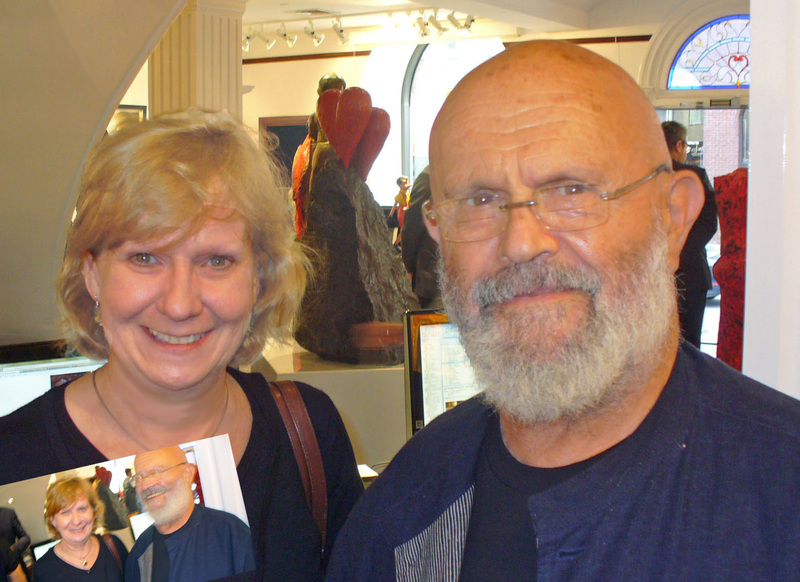 Last night I attended the vernissage of the Jim Dine exhibition at the Galerie de Bellefeuille In Montréal. 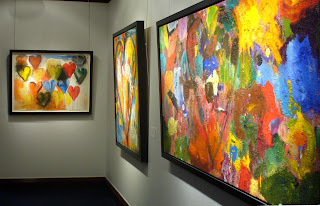 The gallery was glowing with his famous hearts and Pinocchio pieces, Venus sculptures and even some robes. The art was a mass of color against the white walls. Being a huge fan of Dine I couldn’t miss this event because Dine himself was there mingling with the crowd. We spoke with him briefly and took advantage of a good photo op. These events must seem very trying for an artist. I’m not sure that a person who has chosen to paint or sculpt for a living enjoys the PR involved but I guess it goes with the territory when fame arrives. In any case, he was very nice (especially about the photo thing). The first time I saw Dine’s work was at the Montreal Museum of Fine Arts in 1994. The exhibition, “Drawings from the Glyptotek” was Dine’s personal vision based on this Munich museum dedicated to antique sculpture. Dine seemed to create his own world from the busts and remnants of the past. I adored this show. From that time on, I was hooked. Dine is a true artist. He doesn’t paint to please the public, he paints what he feels and subjects that hold his interest. He’s a world traveler, private, and really doesn’t seem to understand what all the fuss is about. He’s an artist – he creates art. That’s it. He was smiling a minute before (see insert). Too bad I moved and ruined the shot! Dine is now 75 years old and still working hard. I like the man, I love the work, and hope there's a lot more to come. Dine’s work is in private and museum collections worldwide. I'm unfamiliar with his work, but judging by the photos you posted, I have say I love the exuberance of his art. Hi Kara. Yes, his work is fantastic. On my top ten list! He must have been in a great mood when he painted these - lovely! Wish you were there too! Was great seeing Dine in person.